Two classic ingredients come together in these easy to make and easy to eat protein balls! These are the perfect bite-sized snacks when you are on the go! I’m proud to have partnered with Kroger to bring you this post. My kids eat more in the summer months than they do at any other time of the year. My kitchen fridge cannot stay cool because someone is always opening the door to grab a snack. Sometimes it drives me crazy but then I think, at least they are making their own food. The start of school will be here before I know it (52 days to be exact) and with the start of school comes the lunch packing assembly line. Yep, when school starts the fridge and pantry both needs to be fully stocked with lunch ingredients and snack supplies. 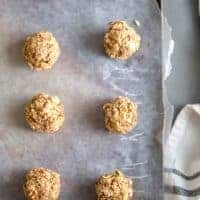 One of my favorites snacks to have on hand are protein balls (or energy bites). Two of my favorites are these Pina Colada Energy Balls and these Cherry Pie Energy Bites. 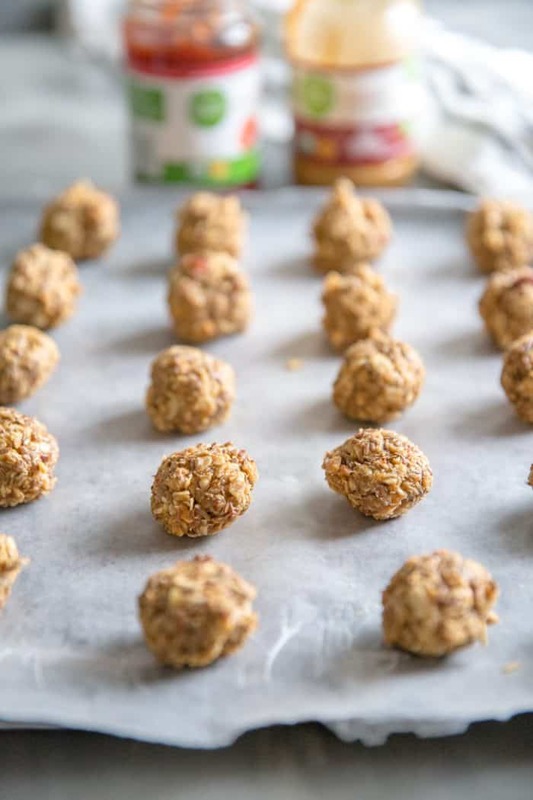 These little bites are loaded with healthy, satisfying ingredients that give your family a little boost until their next meal. These are the protein easiest, quickest snacks you’ll ever make and they are made with a classic combo! I start with Simple Truth Organic Peanut Butter, oats, flaxseed, and strawberry jelly. I used Simple Truth jelly, but Kroger store brand is also a great option. Feel free to use your favorite flavor of jelly. Carefully mix together your mixture, roll them into balls and refrigerate until set. 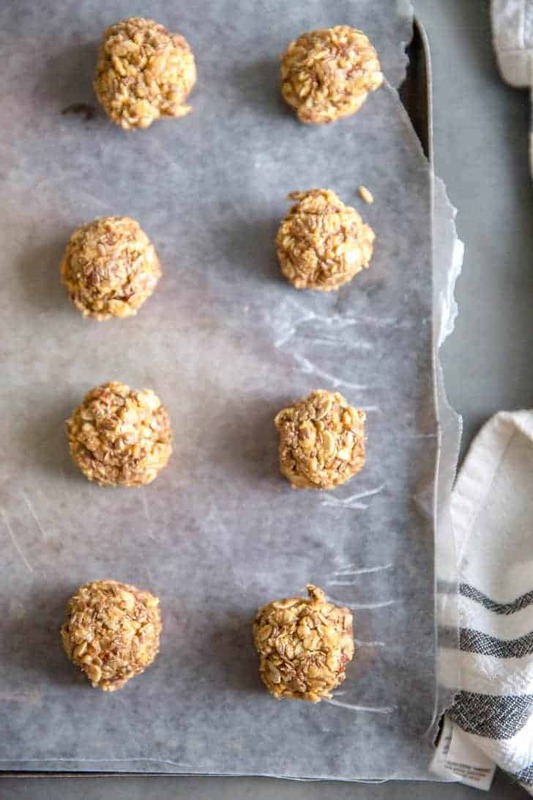 These protein balls are 100% adaptable. You can add anything to these snacks and they’ll still taste great! Some great add-ins are nuts, coconut, chia seeds, honey, figs, agave nectar, chocolate chips, and protein powder. Our family tends to hit the ground running as soon as the alarms go off. 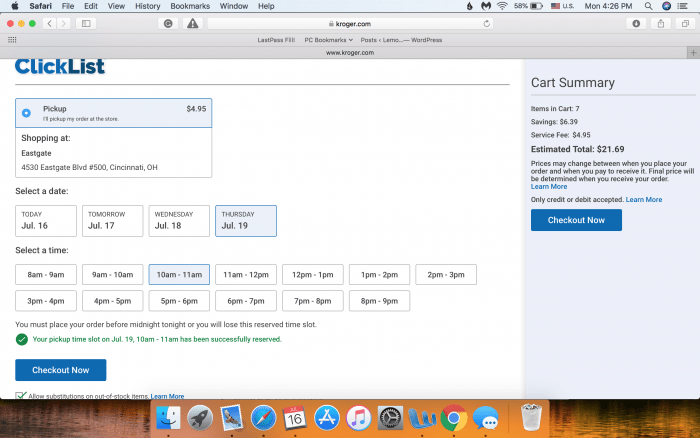 One of the best ways I have found to keep our kitchen prepped and ready for snacks and meals is to shop online with Kroger and pick up my groceries curbside. 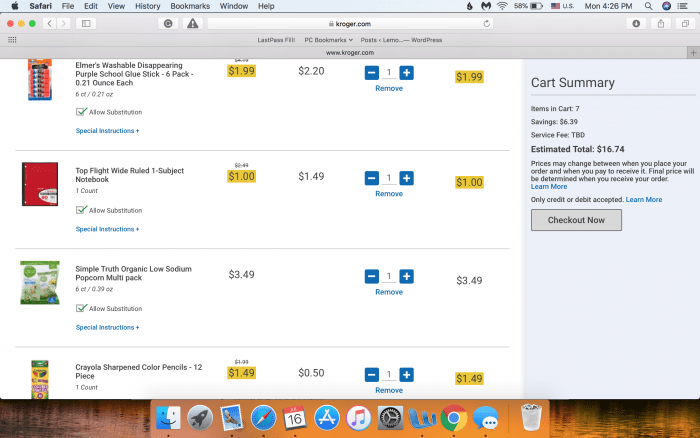 I can build my cart in the app or online and then pick up my groceries at a time that works for my schedule. However, if I am even more pressed for time, I will use Ship With Kroger (available in select stores). 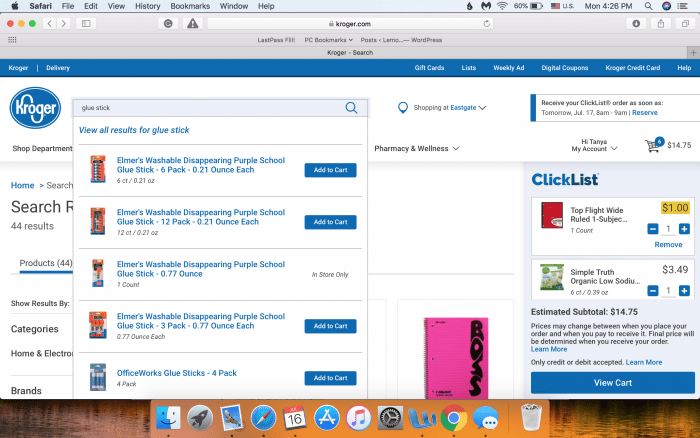 I can shop online for our favorite school snacks and supplies and have them shipped to me (and earn fuel points in the process). Shipping is free if you spend $35 or more (No membership required). 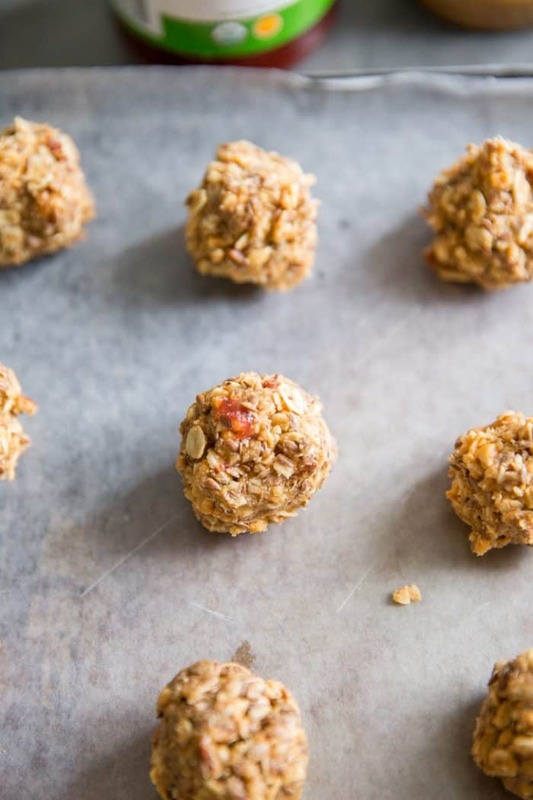 Two classic ingredients come together in these easy to make and easy to eat protein balls! These are the perfect bite-sized snacks when you are on the go! 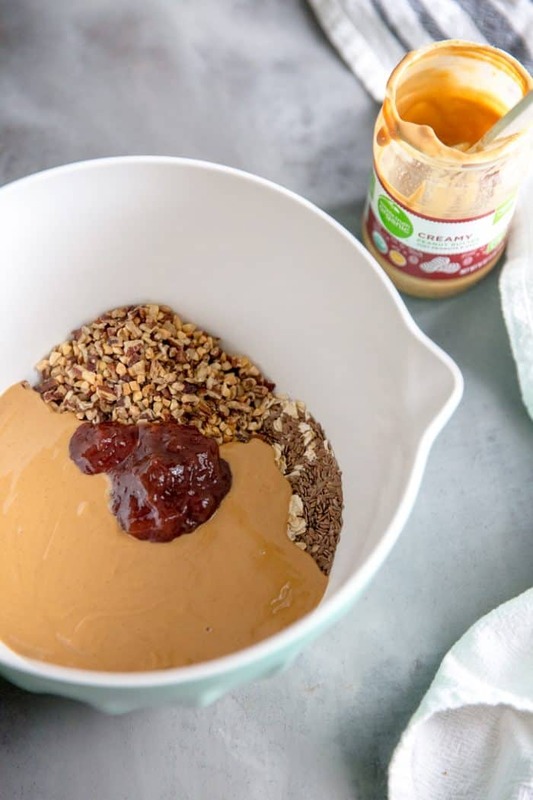 In a bowl, combine the oats, flax seed, peanut butter, jelly and honey (if using). Roll mixture into 2-inch balls and place on a baking sheet lined with wax paper. Refrigerate balls until set. Store protein balls in the refrigerator. This is such an easy recipe. Thank you for sharing! These would be a great boost of energy! Also, they are so easy to throw in a bag, the perfect go to snack! I love how these are so easy to make!